Database Systems Corp. (DSC) is a leading provider of telemarketing and call center technology. These include call center phone systems and telemarketing software. 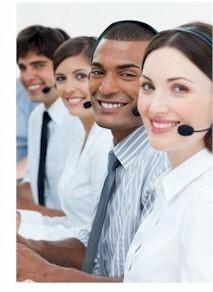 DSC also offers telemarketing outsourcing services using centers located in multiple locations. DSC offers both inbound and outbound telemarketing outsourcing services that automatically answer calls and broadcast phone messages. Our inbound telemarketing center processes phone calls using our award winning interactive voice response (IVR) system that processes incoming calls without an operator. Our outbound telemarketing outsourcing services include voice broadcasting that allows you to automatically transmit voice messages to customers, employees or the general community. Contact DSC to learn more about our telemarketing outsourcing services and phone systems. Interactive Voice Response is a technology that automates the personal interaction of telephone callers with the computerized phone system. DSC provides an award winning IVR phone system and outsourcing service. Automated phone systems have used voice recorded prompts and menus to present information to callers. Touch-tone telephone keypad entries are gathered from the caller to collect information and navigational data. DSC offers complete telemarketing IVR outsourcing services using this state-of-the-art technology developed and managed by our professional staff. Voice broadcasting is a powerful telemarketing tool that broadcasts phone messages to hundreds or thousands of call recipients at once. This technology has both commercial and community applications. DSC is a pioneer in the development of voice broadcast systems and in providing telemarketing voice message broadcasting services. Our voice broadcasting service can meet the objectives of virtually any calling campaign.